The potential buyers that the agent brings by shake their heads sadly. They agree the location is perfect, in a rural area with a gorgeous view of green pastureland and grazing cattle. But the house…just won’t do. The agent urges them to go inside and look more closely, but they decline. For while it does need a bit of maintenance here and there, the tired outside of the home hides an amazing interior. The owner for the past 23 years has been a widow who doesn’t know much about home maintenance, but she has an amazing knack for interior design. 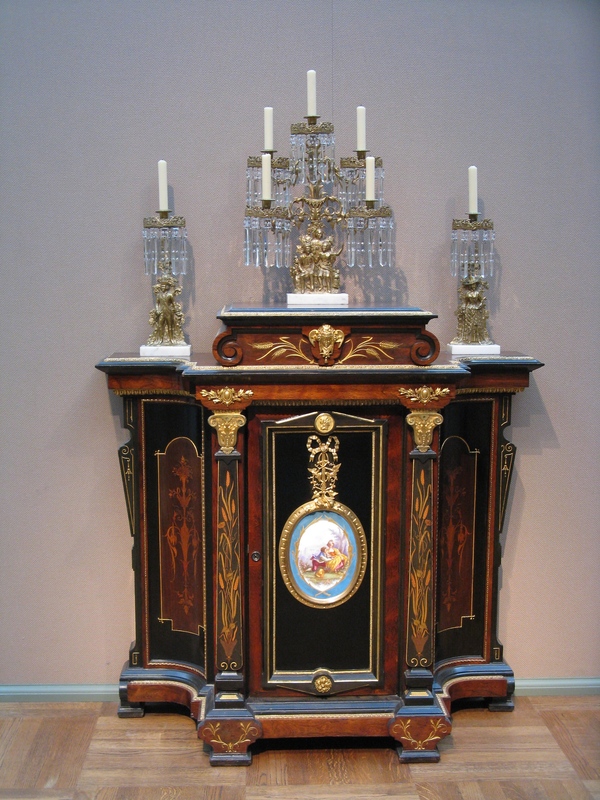 Here’s a family piece in the drawing room, where she welcomes her pastor on his regular visits. 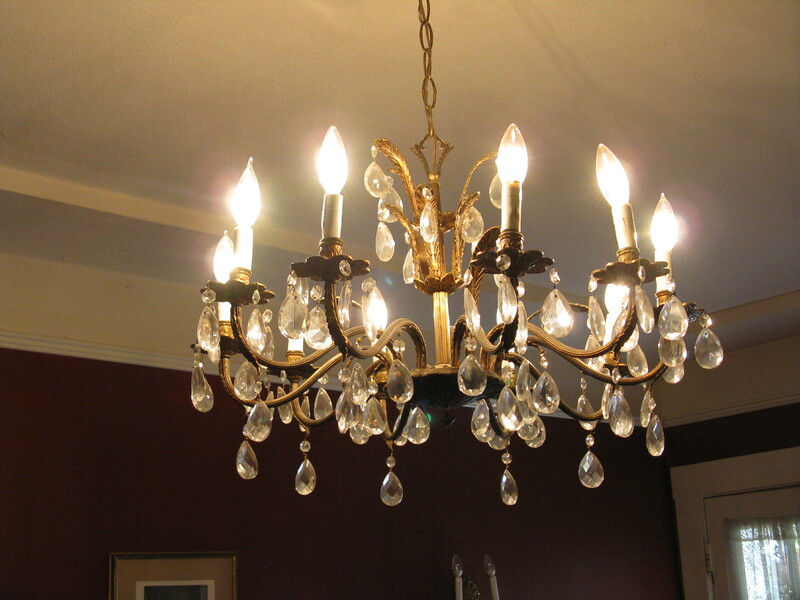 Illuminating her graceful dining room is this chandelier. 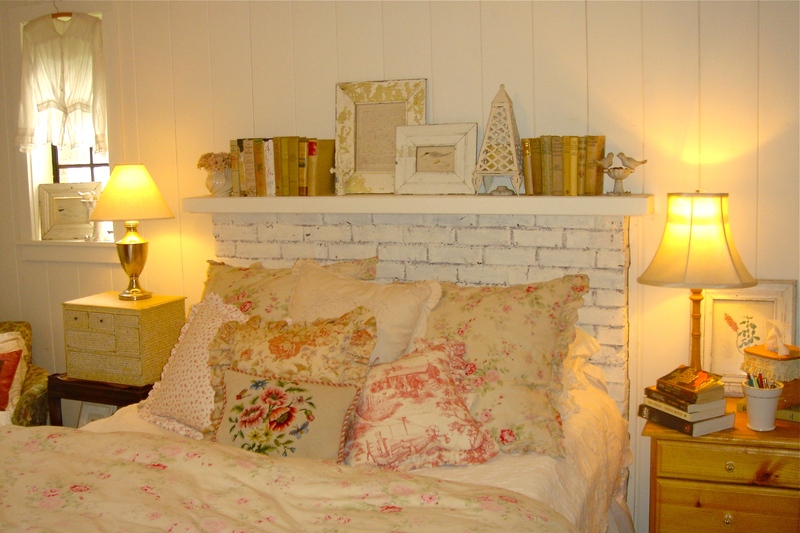 The guest room offers visitors a cozy retreat. 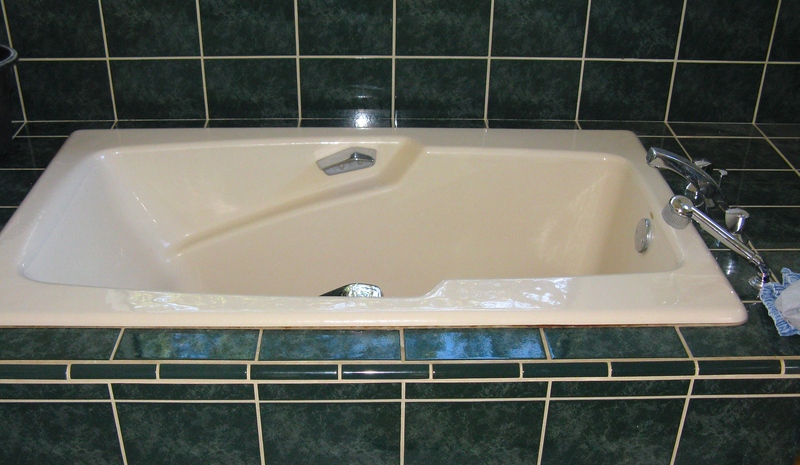 And the guest bathroom an inviting large tub. 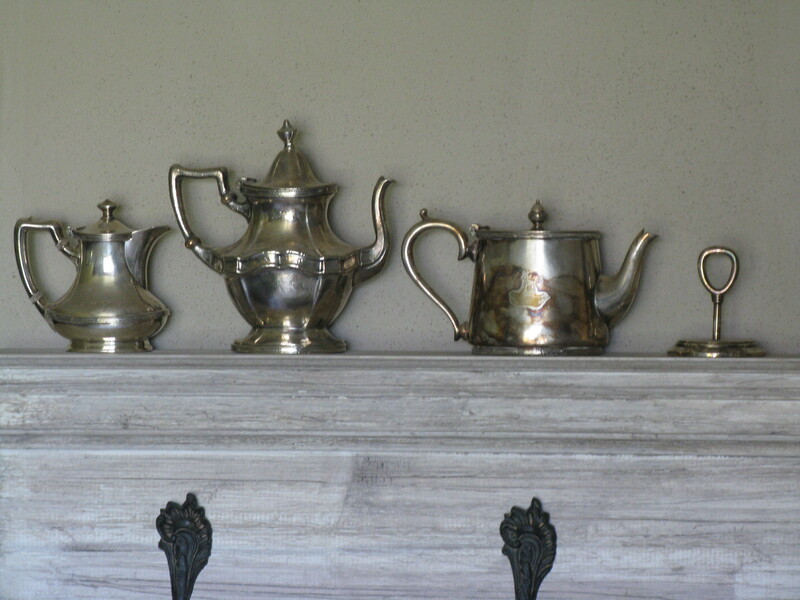 The living room has a large fireplace, with treasured silverware from her grandparents on the mantle. 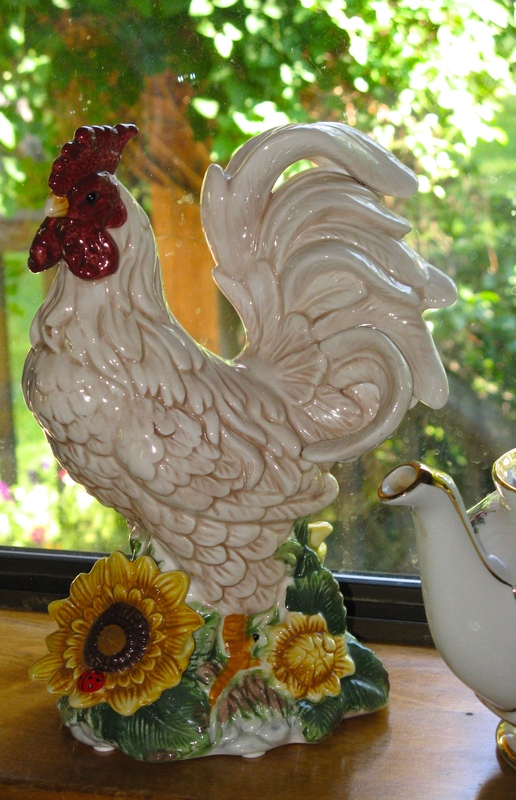 A ceramic piece lends a country feel to the kitchen windowsill. And the really good news for buyers is that the furnishings come with the home, as its occupant will be moving in with relatives. Now, does anyone know the name of a good carpenter and a reasonably priced roofer? 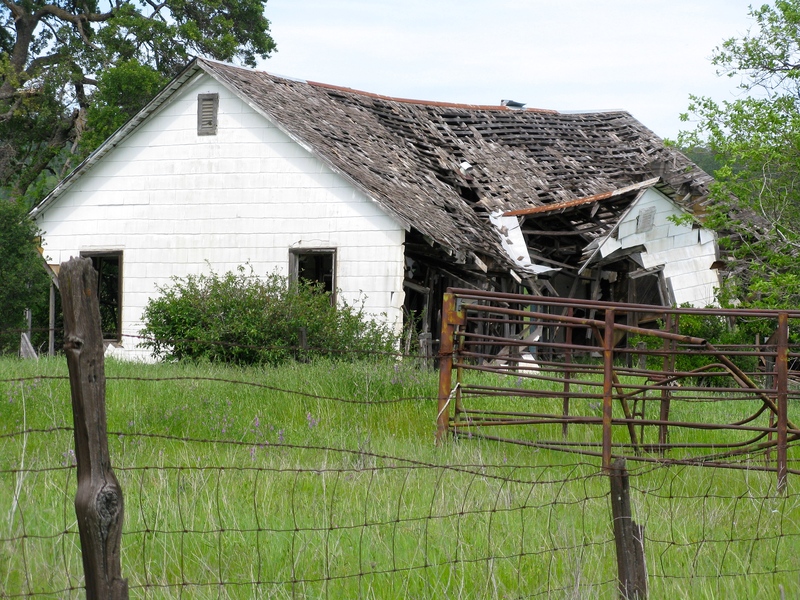 Tags: fixer-upper, old home. Bookmark the permalink. Previous post ← What’s behind window number three?